Sometimes, it may be difficult to see your strokes, especially if your colours are similar to the blue stroke colour. 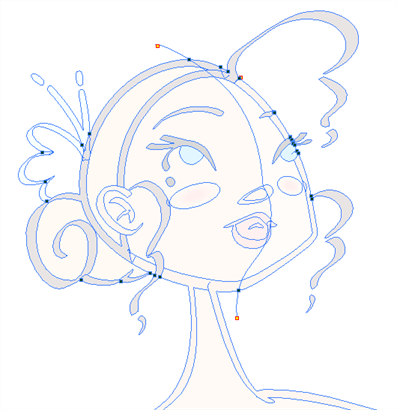 In Animate Pro, you can display the strokes and washed-out the colours of your drawings so that the invisible lines stand out. ‣ In the top menu, select View > Show > Show Stroke With Colour Wash.